How often you are stuck with some corrupted installation of any software or program with conventional uninstall option producing error and hence you are unable to uninstall that software. These corrupted uninstall dont even let you install a new copy of the software as corrupted files are still on your hard disk. All this leads to many problems including hit in the performance and speed of the computer. 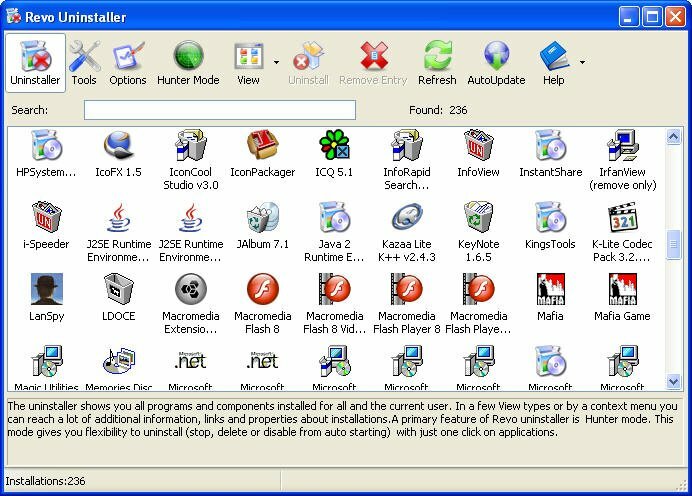 Revo Uninstaller is a tool that lets you uninstall every program easily and correctlyÂ even when the built-in uninstaller of the program is corrupted. IT also gives you a detailed information about the programs which are installed. Its much faster than the conventional “Add and Remove Programs” of Windows. Also it helps you view and manage programs loaded on Windows startup, clean any junk, temporary and unnecessary files from your drives. 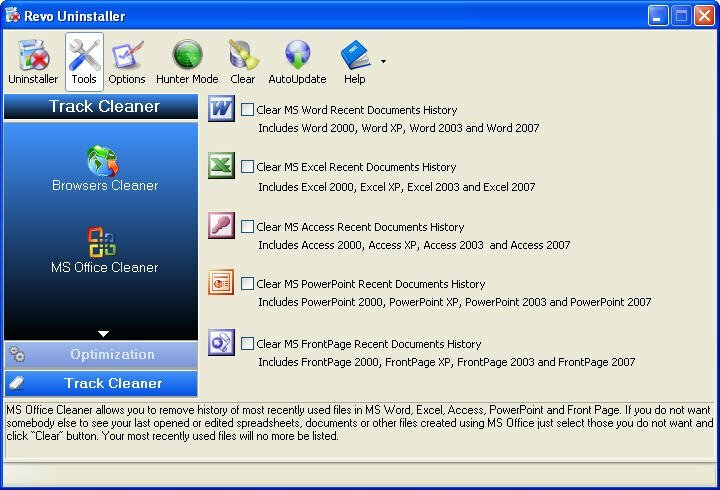 Apart from uninstalling function, it helps you erase all your browser history in Internet Explorer, Firefox, Opera and Netscape browsers, erase the recent document history of Microsoft Office products, erase most of the important traces you have left behind after working with Windows. In short it works also as the evidence eliminator on your PC. Another feature that it offers is secure deletion of all files. It will permanently delete all of your already deleted filesÂ and securely delete any existing file or folder so it becomes unrecoverable by any software. All this comes for Free. Yes this tool is completely free. GIve it a try as it does much more than just uninstalling corrupted installations and programs.